A socio-political group, Asiwaju Grassroot Foundation, AGF, has congratulated President Muhammadu Buhari as he turns 75. The Group described Buhari as a national icon and a global figure with rising goodwill and unblemished reputation. In a release signed by the group's acting Coordinator, Comrade Tijani Sikiru and Secretary, Comrade Adeniji Yahaya, AGF noted that the success of the President's administration in the fight against corruption cannot be over emphasized. AGF tagged Buhari as a sound and incorruptible President who knows what he wanted and who has remained unmoved in the face of baseless criticism. "We have every reasons to join Mr. President numerous admirers and well wishers to felicitate with him for witnessing this day alive, healthy and kicking despite all what he had passed through in the last 2 years. "President Muhammadu Buhari is no doubt a God's project that no one can pull down. "We wish President all the goods, goodness and goodwill life can offer a true patriot, leader and man of virtues like him. "PMB is a President Nigeria has never had, he is an incorruptible President who has the best interest of the masses at heart and who is bent on liberating Nigeria from its shackles of corruption and several other social vices. 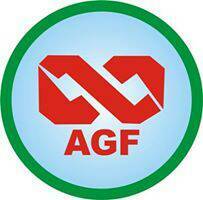 "We at the AGF celebrates the President is honor as he clocks 75."